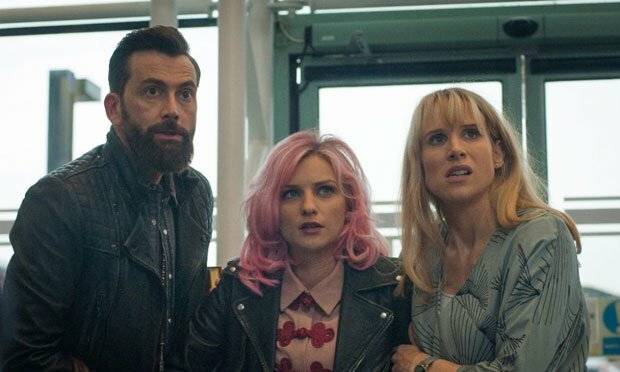 Lucy Punch, Faye Marsay and David Tennant headline this bittersweet romantic comedy from actress-turned-writer-director Daisy Aitkens. It might not be the most polished production, but it delivers both big laughs and impactful emotion. Punch plays 40-year-old Olivia, a lesbian lawyer in a committed relationship with younger, pot-smoking artist Alex (Marsay). Longing for a baby, Olivia secretly gets pregnant by artificial insemination and the subsequent argument leads to Alex having a drunken fling with their boorish male neighbour John (Tennant), which results in her getting pregnant too. Olivia and Alex patch things up, but their dual pregnancy plan gets complicated when John announces that he wants to take his responsibilities seriously and be a father to his child. Sporting a rakish beard and a man-bun, Tennant delivers a strong comic turn as John; starting off as an object of derision bordering on caricature (he runs the website equivalent of a man-cave), he gradually evolves into a more rounded, sympathetic character. The gifted Punch is on predictably great form here, though the lack of chemistry between her and Marsay occasionally undermines the central relationship. Fortunately, there are plenty of distractions in the supporting cast, which includes the likes of Sally Phillips (very funny as a politically correct yoga instructor), Simon Bird (as Olivia's brother) and Sarah Parish (playing Alex's outspoken mother). Debut helmer Aitkens has a keen sense of comic timing and pulls off some laugh-out-loud set-pieces, including a hilarious tanning lotion-related gag that can't be repeated here. However, the script's real surprise lies in its unexpected depth – it takes big risks by going to places that are a lot darker than you expect from a traditional rom-com, but the strength of the writing and performances see it through. Selected release from Tue 17 Apr.